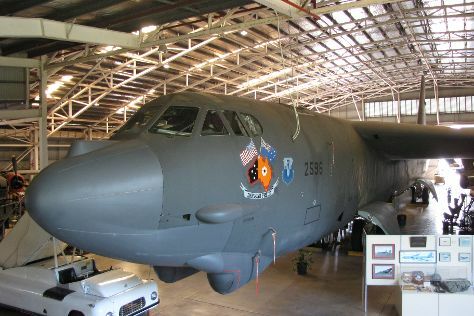 On the 23rd (Fri), make a splash at Big Buoy Water Park and then brush up on your military savvy at Darwin Aviation Museum. For maps, traveler tips, other places to visit, and other tourist information, go to the Darwin online vacation builder . If you are flying in from United States, the closest major airport is Darwin International Airport. August in Darwin sees daily highs of 89°F and lows of 66°F at night. Wrap up your sightseeing by early afternoon on the 23rd (Fri) to allow enough time to drive to Katherine. Katherine is a town in Northern Territory, Australia. 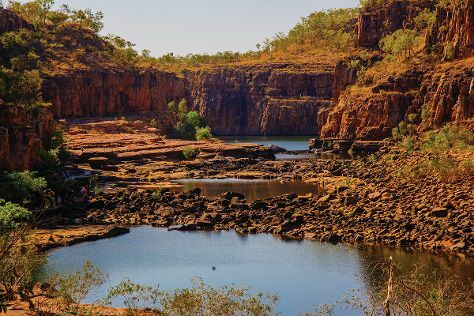 To see reviews, where to stay, more things to do, and other tourist information, read our Katherine trip itinerary planning website . Traveling by car from Darwin to Katherine takes 3.5 hours. Alternatively, you can take a bus; or fly. Traveling from Darwin in August, you can expect nighttime temperatures to be slightly colder in Katherine, with lows of 56°F. Finish your sightseeing early on the 24th (Sat) to allow enough time to travel to Alice Springs. Plan my Alice Springs trip by asking Inpirock to come up with tips and suggestions. Traveling by flight from Katherine to Alice Springs takes 4.5 hours. Alternatively, you can drive; or take a bus. Plan for slightly colder temperatures traveling from Katherine in August, with highs in Alice Springs at 74°F and lows at 41°F. On the 27th (Tue), you'll travel to Kings Canyon. To find traveler tips, photos, other places to visit, and tourist information, read Kings Canyon vacation maker tool . 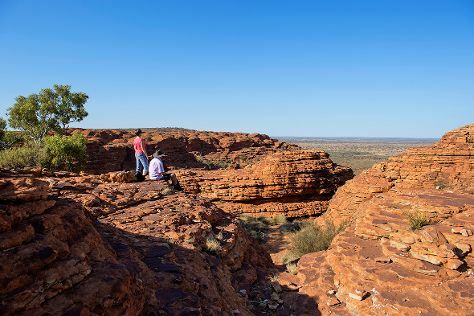 Explore your travel options from Alice Springs to Kings Canyon with the Route module. Wrap up your sightseeing by early afternoon on the 27th (Tue) to allow time for travel to Uluru-Kata Tjuta National Park. Kick off your visit on the 27th (Tue): explore the striking landscape at Uluru. 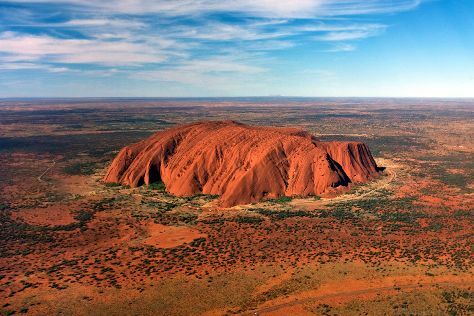 To see photos, traveler tips, and other tourist information, read our Uluru-Kata Tjuta National Park online trip maker . Use the Route module to find suitable travel options from Kings Canyon to Uluru-Kata Tjuta National Park. In August, plan for daily highs up to 74°F, and evening lows to 42°F. Wrap up your sightseeing by early afternoon on the 28th (Wed) to allow time for the car ride to Coober Pedy. 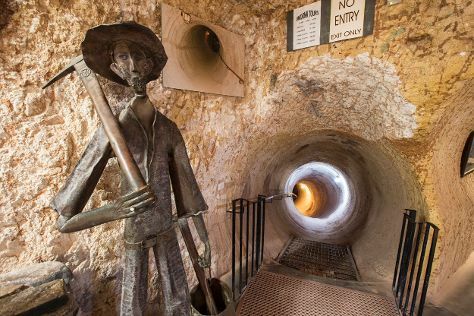 To see traveler tips, where to stay, reviews, and other tourist information, read our Coober Pedy trip planner . Traveling by car from Uluru-Kata Tjuta National Park to Coober Pedy takes 8 hours. Alternatively, you can fly. Traveling from Uluru-Kata Tjuta National Park in August, expect nights in Coober Pedy to be about the same, around 45°F, while days are little chillier, around 68°F. You'll have a few hours on the 29th (Thu) to wrap things up before traveling to Woomera. Woomera, officially Woomera Village, is a town located in the Far North region of South Australia in Australia, approximately north of Adelaide. For other places to visit, where to stay, reviews, and more tourist information, use the Woomera tour itinerary builder tool . Use the Route module to find suitable travel options from Coober Pedy to Woomera. In August, daytime highs in Woomera are 67°F, while nighttime lows are 44°F. Wrap up your sightseeing on the 29th (Thu) to allow time to travel to Melbourne. To see other places to visit, maps, and other tourist information, read our Melbourne online road trip planner . Explore your travel options from Woomera to Melbourne with the Route module. Traveling from Woomera in August, you will find days in Melbourne are little chillier (57°F), and nights are about the same (42°F). On the 30th (Fri), you're off tohome.